Ho Chi Minh (Hồ Chí Minh) City, formerly known as Saigon (Sài Gòn), is Vietnam’s centre of commerce and also the biggest city of the country, though it is not the administrative capital of Vietnam. As a result, of the sweeping economic changes recently, this effervescent city, perched on the banks of the Saigon River, has changed its image from that of a war-torn city to one of the thriving metropolis, potentially challenging Bangkok, Singapore, and the other traditional Southeast Asian powerhouses. This city might not have seductive beaches or great plantations yet there is no dearth of things to do in Ho Chi Minh. 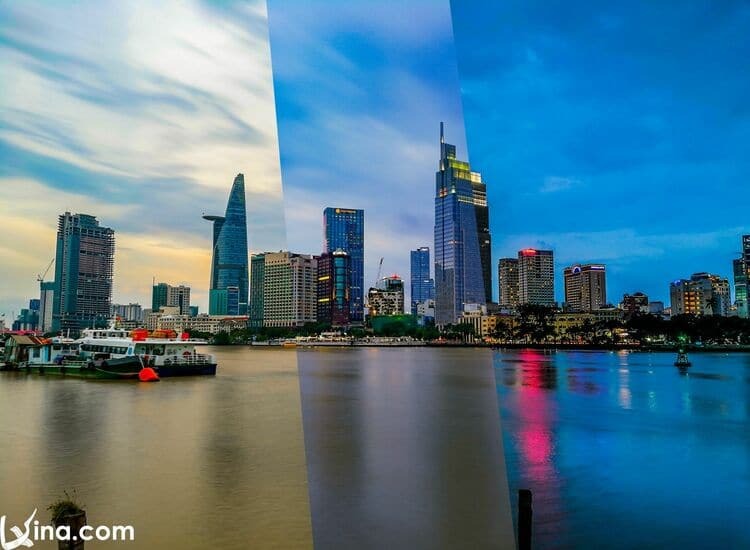 If you are planning to go visit Saigon City in the near future, you should not skip the following most interesting things to do in Ho Chi Minh City. Just take a look! 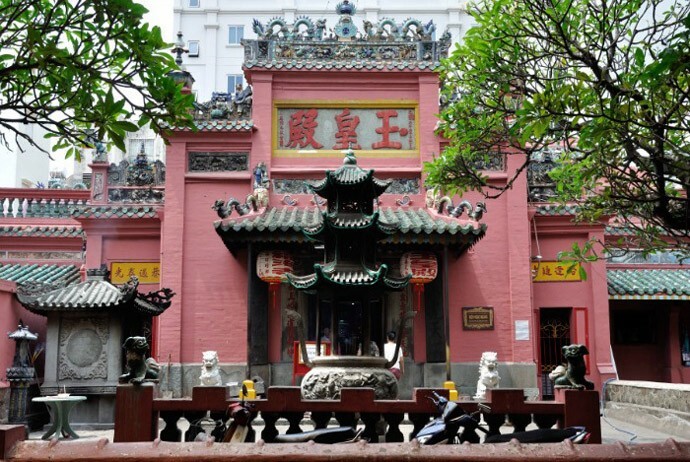 Jade Emperor Pagoda was built in 1909 in honor of the supreme Taoist god. This pagoda is reckoned one of the most spectacularly atmospheric temples in Saigon, stuffed with statues of grotesque heroes and phantasmal divinities. This pagoda is a great representation of Mahayanist branch of Buddhism which is practiced widely in Vietnam. Jade Emperor Pagoda is a living and working shrine which is the frequent destination for locals coming here to prayer or make votive offerings of flowers, and joss sticks and light candles. With a lot of worshipers coming and going, this temple could get busy and feel a little cramped. There is an overcrowded tortoise pond right in front of the temple grounds. Besides, feeding the animals is reckoned as part of the temple-going, merit-making rituals. Once known as the Museum of Chinese and American War Crimes, the War Remnants Museum is consistently popular with the Western visitors. It is a shocking reminder of the brutal and long American War with many graphic photos and American military equipment presented, including a helicopter with rocket launchers, a fighter plane, a tank, a single-seat attack aircraft and the 6,800kg conventional bomb. These weapons were strongly used by America against the Vietnamese at some points during the war lasting from 1945 to 1975. Pedicure and Manicure shops are everywhere when you visit Saigon City, especially around the Pham Ngu Lao (Phạm Ngũ Lão) area. The majority of them are open late into the night. Thus, it will be a pity if you do not enjoy a relaxing night with one of these shops. Happily, some of those shops will even serve you a massage, a glass of wine, and more. The cost of a basic treatment is very low. So, this should be one of the most relaxing things to do in Ho Chi Minh City in your to-do list. 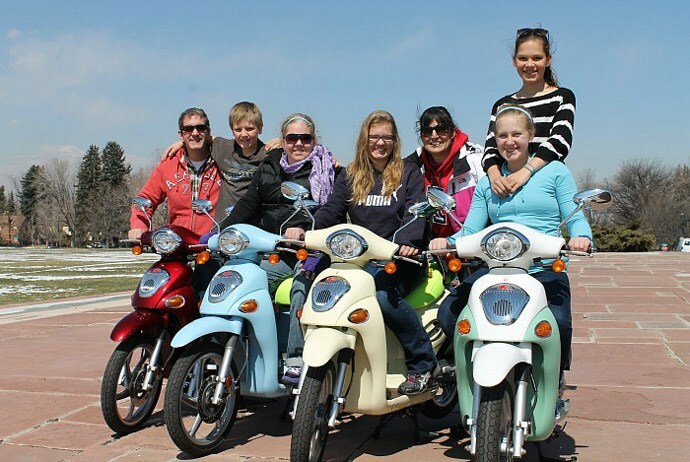 While staying at Saigon City, you should not miss exploring the Saigon streets from the back seat of a Vespa, which is an exhilarating manner to feel Saigon – a city with approximately 5 million motorbikes. In order to get your orientation fast, you should jump on an organized tour with an emphasis on nightlife, foods, iconic sights or some unusual attractions. It is worth noting that motorbike helmets are compulsory in Vietnam, so you should not forget wearing helmet while traveling through Saigon streets. Despite it is true the Saigon River has suffered from pollution problems, a Bonsai dinner cruise is still a relaxing and unique experience you should try. Watch the city light at sunset whilst sipping a Tom Collins from the deck of the traditional 19th-century dragon boat, enjoy a buffet meal and take in a show here. Bonsai River Cruise provides you with a ride upstream coupled with a gourmet feast of Vietnamese specialties. 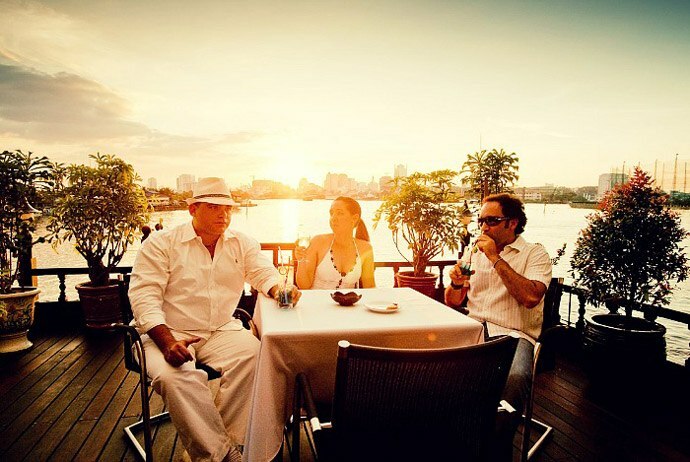 Daily, they have two tours of Saigon River during peak season, and both of these tours characterize an extensive buffet, drinks and live music. If your budget permits, you should book in advance and stretch your dollar for a more unique boutique cruise. 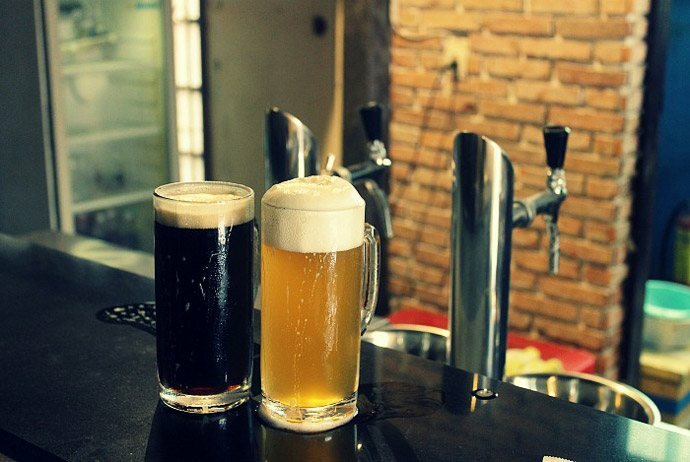 When you arrive in Saigon City, you will be surprised at how popular beer is in this vibrant city. Found on most street corners and bars, fresh beer, aka “Bia hơi”, is the answer of Vietnam to micro brewing. Drinking in Saigon is an experience like no other. 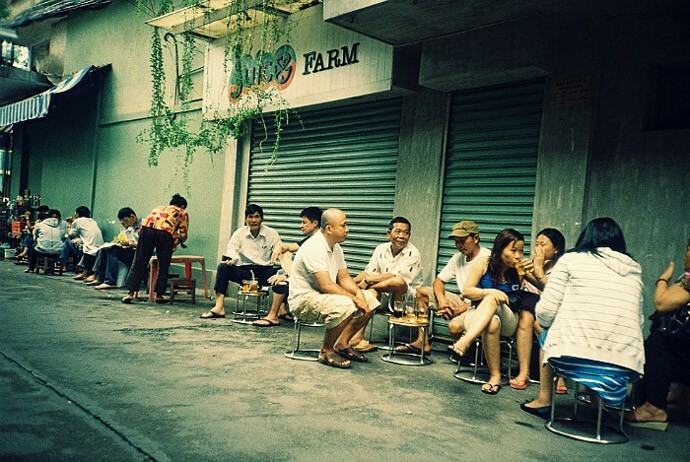 Unlike posh bars with expensive liquors, drinking beer in Vietnam involves sitting in small plastic chairs along a busy street. Why would locals and tourists here do that? That is simply because beer is dirt cheap here. Just ranging about USD 0.25 per glass and USD 0.70 per bottle, there is no reason for you to deny enjoying such a great solution for a hot summer day. The tables are so close to one another; thus, it is also impossible not to chat up with strangers who might soon be your friends, who know? Popular choice of beer in Saigon is Tiger beer and Saigon beer. You can try both of them as they are so cheap anyway. Keep reading this detailed list to discover more great things to do in Ho Chi Minh that will strongly amaze you! Despite water puppetry derives from the north of Vietnam, around Halong Bay (Vịnh Hạ Long) area, water puppet performances tend to be also available at a number of locations throughout Saigon. The art of water puppet performing depict Vietnamese countryside life as well as folklore stories. 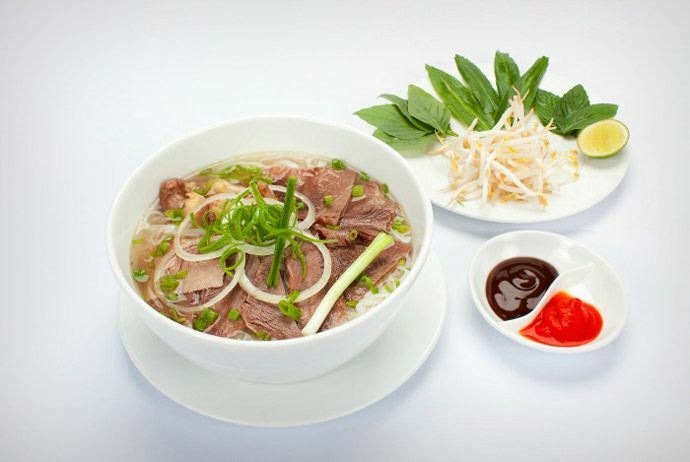 Pho is a traditional Vietnamese cuisine, which is well-known all over the world. This dish needs little introduction. Most Pho noodles come with a dish holding mint leaves, chopped chili, bean sprouts, and cut lime. Just simply garnish your bowl of Pho with vegetables and add a dash of lime for wholesome flavorful beer chicken or beef noodles. 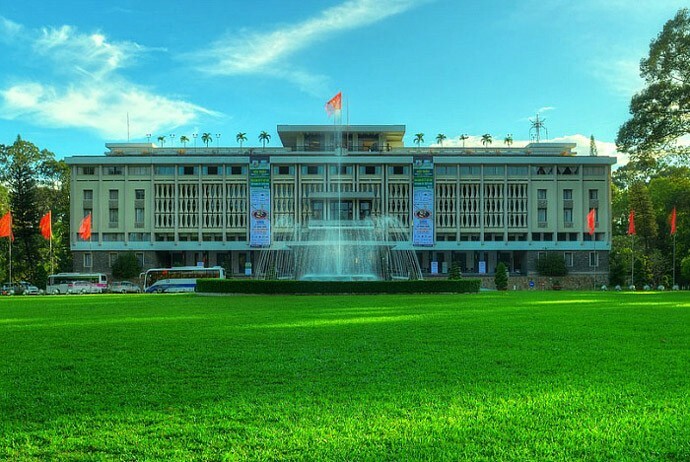 One of the most popular attractions of Saigon City is Saigon Central Post Office. This is the largest post office in Vietnam. Built in the period of 1886-1891 by the renowned architect Gustave Eiffel, this building is deserved to present for an enormous picture of Saigon. Even if you do not have a bundle of letters or postcards to send to your relatives, you should still visit here to admire the interior. The walls of the interior are inlaid with devotional tablets and some stained glass survives. Those English-speaking staffs dispense tourist information during 9am-11am from Monday to Saturday. In case the front gates are locked, you can try the door on the side of a building facing Reunification Palace. 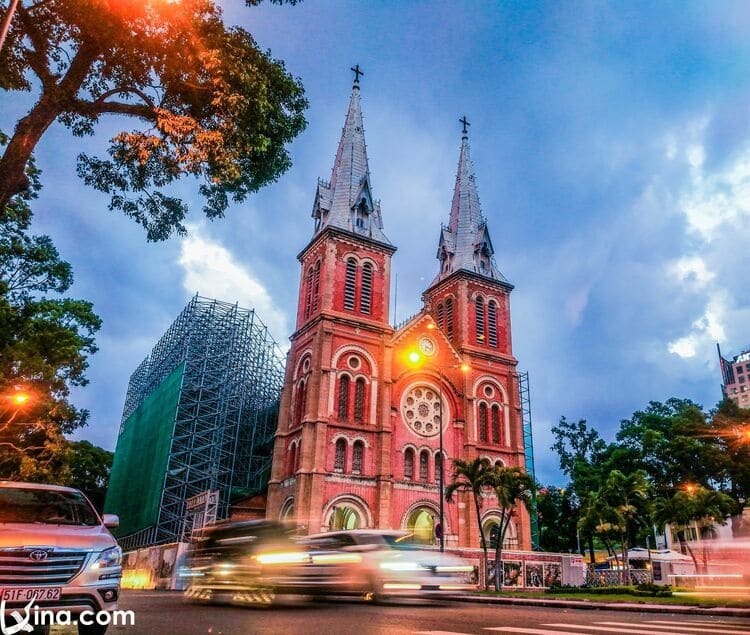 Notre Dame Cathedral in Saigon, also formerly called Saigon Church, is beautiful, magnificent, and stable in the city’s centre and has always attracted a lot of people, both locals and tourists. This church is quite large and could accommodate up to 12,000 people. In front of the church stands a statue of the Virgin Mary, made from Italian marble. Notre Dame Cathedral is really a working religious place where masses are celebrated every Sunday. Location:– Central Post Office: Paris Square (Công xã Paris), District 1, Ho Chi Minh City. – Notre-Dame Cathedral: Ben Nghe (Bến Nghé), Ho Chi Minh City. As mentioned earlier in this list of things to do in Ho Chi Minh City, when you have just arrived in the middle of Saigon, let yourself discover this vibrant city on the scooters to observe the chaos around. Whether it is by walking or by scooter, doing a food tour in Saigon will really bring you such a great experience that you can probably not experience anywhere else. You can find street food vendors in all parts of this city. It is no surprise that many people think Vietnamese street food is the best in the world and enjoying it is among the best things to do in Ho Chi Minh City. 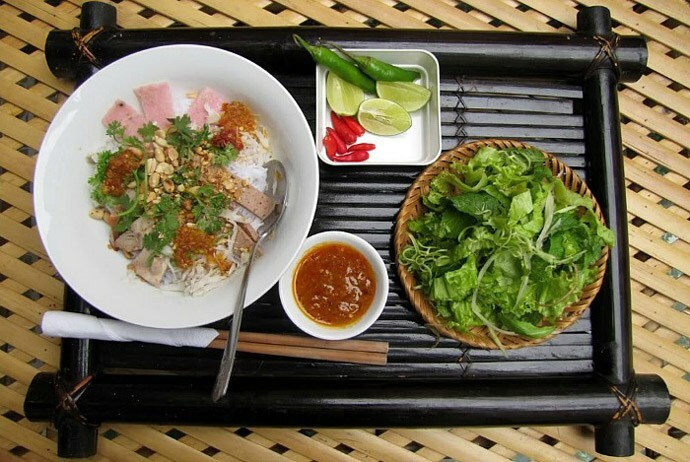 The most noticeable street for sampling food is Pham Ngu Lao, which is situated in District 1, Ho Chi Minh City. This is well-known back-packers district, with very similar vibes as Khao San Road in Bangkok. Around this area, there are many outdoor and indoor markets, restaurants, amazing bars, coffee shops and cheap hotels. It is always fun and lively, and very close to Saigon’s city center. There are two major snacks that everyone who is going to hang out will eat and you should not miss either. The first is Banh trang tron (Bánh tráng trộn), which is Vietnamese snack salad made with strips of the dry rice paper mixed with slivers of the green mango, hot sauce, quail eggs, strips of the dried squid and other types of random goodies. It is considered as the most popular craze snacks in Saigon City, in particular, and in Vietnam, in general. The second is Banh trang nuong (Bánh tráng nướng), aka Vietnamese pizza. This type of snack is made with rice paper grilled like a normal pizza crust over charcoal, deliciously topped with chili sauce, a quail egg, dry pork, green onions, and many other things. The nightlife in this area is really great, where people sit on the plastic chairs on the street and drink cheap local beer. Go there and watch the Vietnamese daily life unfold around you. It is really diverse and cool atmosphere that you will enjoy, trust me! This is the home of the president of South Vietnam during the “American War”. This is a unique and interesting building from outside and inside. For this reason alone, it makes a visit worthy of your top things to do Ho Chi Minh City. It was designed by the French trained, award winning, Vietnamese architect called Ngo Viet Thu (Ngô Viết Thụ). Reunification Palace is opened to tourists as long as official receptions / meetings are not celebrated here. French- and English-speaking guides are on duty during opening hours. Location: No.135 Nam Ky Khoi Nghia (Nam Kỳ Khởi Nghĩa), Ben Thanh (Bến Thành), District 1, Ho Chi Minh City. 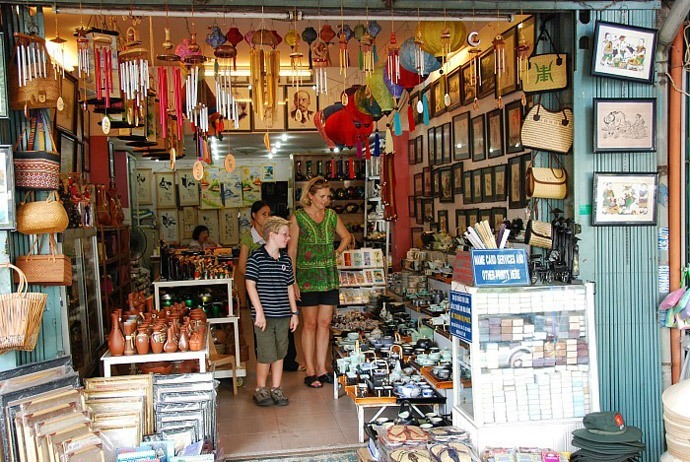 Shopaholics as well as bargain hunters will love Saigon City. From those street markets to Western-style department stalls, this vibrant city is really ideal for shopping. Diamond Plaza is great for those well-heeled while Saigon Plaza is not a so pricey shopping mall. The classic market for tourists visiting Saigon is Ben Thanh (Bến Thành) Market. In this market, you can purchase clothing as well as souvenirs easily; nonetheless, eating there will bring to you greater experience than shopping does. Another destination for shopping in Saigon is Le Loi (Lê Lợi) Street, which runs through the centre of District 1. Here, you will discover a lot of diverse range boutiques, clothes, designer brands, electronic and more. For a lesser-known alternative, District 1’s Tan Dinh (Tân Định) market specializes in clothing material and silks. Saigon is awash with clubs and bars, varying from gloomy, tiny establishments to some hustle and bustle market venues. Most of Saigon’s nightlife is concentrated in District 1. Pham Ngu Lao Street, as mentioned before, is equivalent to Bangkok’s famed Khao San Road. This is where the nightlife of Saigon presents most vibrantly. If you are looking for a more urbane option, you can try a rooftop bar of three of the most well-known hotels of the city, including the Rex, Majestic, and Caravelle. Drinks are very expensive, yet there is a colorful history along with impressive view from each of them. Imported drinks are considerably more expensive than those local ones and alcohol sold in the more exclusive is much more expensive. 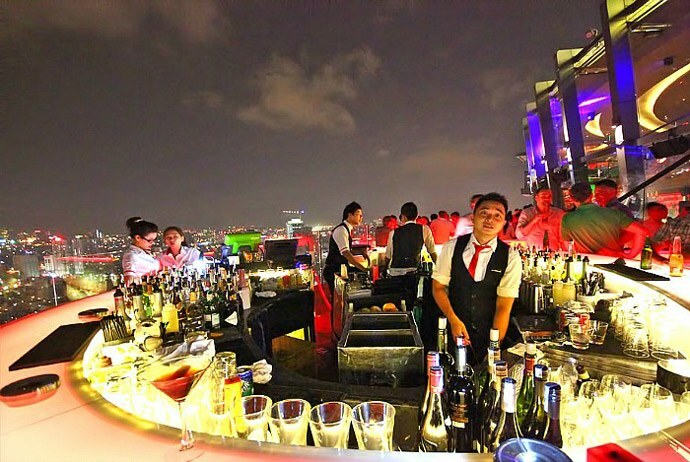 Some of the most well-known bars in Saigon are Alto Heli Bar, Sky Bar, The Spotted Cow. The examples of highly recommended clubs in Saigon City are International Tourist Club, Lush, and The Observatory. The ideal places to enjoy live music are Park Lounge, Hard Rock Cafe, Sax n’Art Jazz Club while the most perfect stop for classical music are Opera House. This sounds strange when it comes to drinking coffee. However, in Saigon City, enjoying coffee becomes an interesting culture. In fact, Vietnam is one of the largest producers of Robusta coffee beans in the world, which are considered to be inferior to Arabica ones. In Saigon, coffee treat await you on every street corner. Thanks to the intense humidity, iced coffee, known locally as “cà phê sữa đá”, is commonly favored. Besides, there are other types of coffee, which are iced blacked coffee (Cà phê đen đá), hot coffee with sweetened condensed milk (Cà phê sữa nóng), and hot black coffee (Cà phê đen nóng). Because Saigon is teeming with great coffee shops which not only serve great Vietnamese coffee, but also provide a mean Italian coffee, too. Also, you can try the coffee for less than a dollar at many street stalls around this city. An interesting idea to enjoy coffee is to head to the Tan Tao (Tân Tạo) Park and have an early-morning brew with locals or order a cup from any street coffee vendor. Are you a cooking lover? After sampling a lot of great food here, you might want to know how to cook some of them to treat your family members after coming home right? 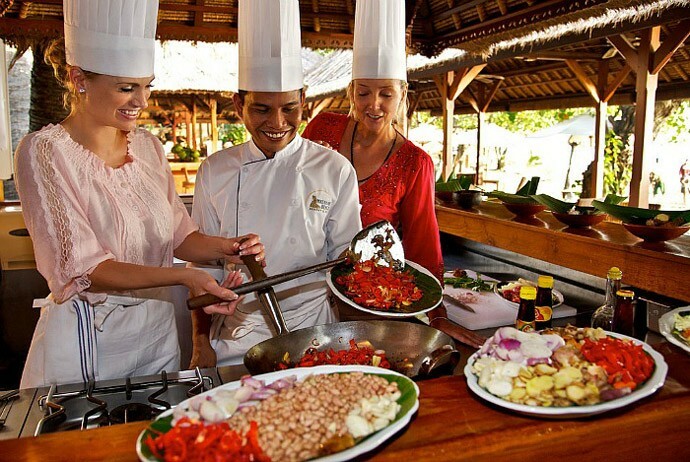 Whilst there are a lot of main hotels offering generic cooking lessons, a smaller-size class can be a far better option. When taking part in those classes, you will be taught to source ingredients at a nearby market and cook classic dishes like rice noodle soups, summer rice rolls, and many more. Most classes provide a take-home recipe pack so you could dazzle your own mates back home. Concert is a good option to spend your nights when visitng this bustling city. 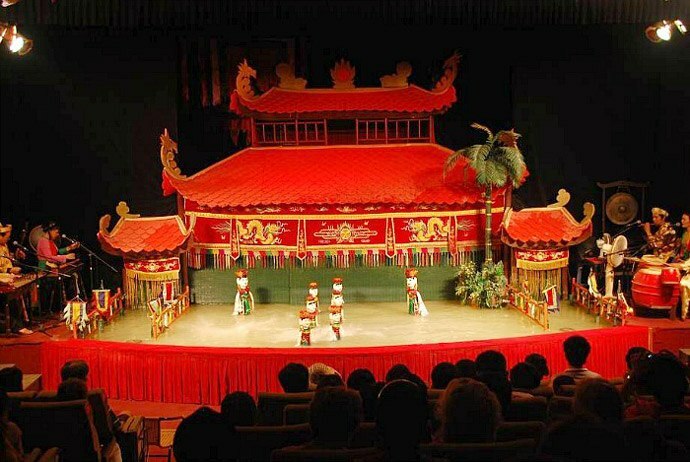 It is said that Hanoians often envy Saigoneses for having so many live concerts performed even each night, of all types. There are a lot of stages for watching and performing concerts in Saigon and they have shows almost each weekend. Just opt for the concert that you think it might be interesting and attracted to you, go to it and you could enjoy the live music and get acquainted to the music taste of locals. The ticket for concerts depends on the type of show you are going to watch. Most of them over over $5. The concerts are taken place at one specific time so you need to fix yourself with that time priorly. It is as flexible as moive theaters where you could easily opt for the show by yourself. Concert is mostly popular amongst young people who love lively dancing and music. 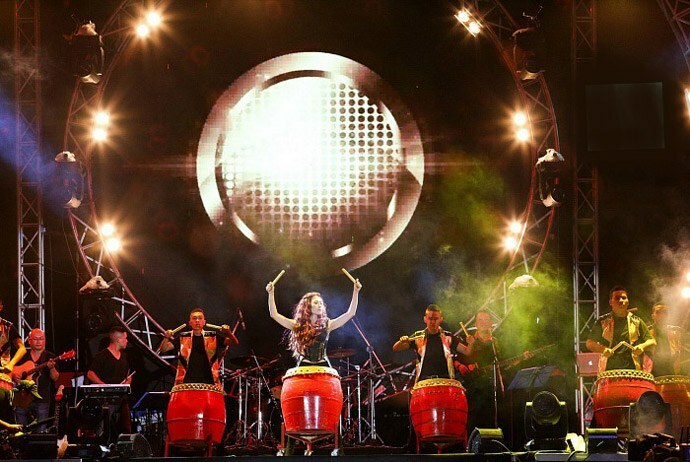 Some popular stages for concerts in Saigon are Trong Dong (Trống Đồng), Lan Anh (Lan Anh), etc. In addition, the Military 7 Stadium also hosts some international music nights so stay tuned with the new events if you are looking to watch such kind of concerts. Travel to the heart of Mekong Delta on a certain group adventure tour from Saigon is the next one in your list of things to do in Ho Chi Minh. The Mekong Delta is an about 15,000 square mile area where the Mekong River gently approaches and combines with the huge ocean. 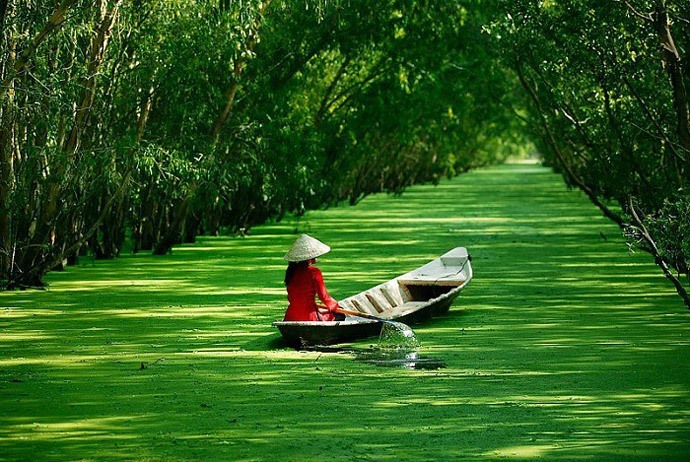 Mekong Delta is the area of lush, fertile and tropical lands. You will board a private long tail boat, enjoy the diversity of Mekong gateways while exploring exotic fruit farms, fish farms, and dine on traditional Mekong Delta food. About 4 hours of drive from the city’s centre, it is another world, where villages, markets, and schools float on life-sustaining, sprawling estuaries. Actually, ordering a tour is reckoned as the easiest way to experience this delta. Most of the offered tours range from 1-5 days. If you want to escape the bustling Saigon’s center for some time, and do one of the best things to do in Ho Chi Minh, then discovering Mekong Delta will be your great choice. Spending several days here if your time permits will help you create such a memorable experience that you have not ever had before. 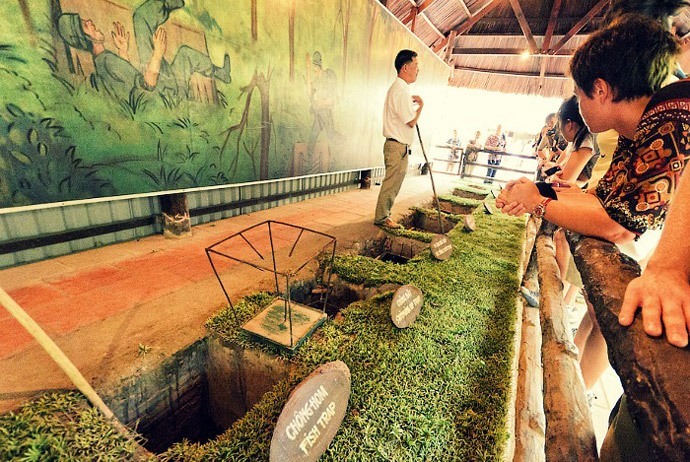 Just one hour outside the city’s centre, you can experience the first-hand the claustrophobic tunnels which were used by the Viet Cong (Việt Cộng) in order to evade detection by the Southern Vietnamese and American forces. Though Cu Chi just covers about a few hundred metres, after crawling on your own hands and knees via the ill-lit tunnels for several minutes, passing rooms, schools along with dormitories, it is difficult for you to imagine spending even weeks on underground. 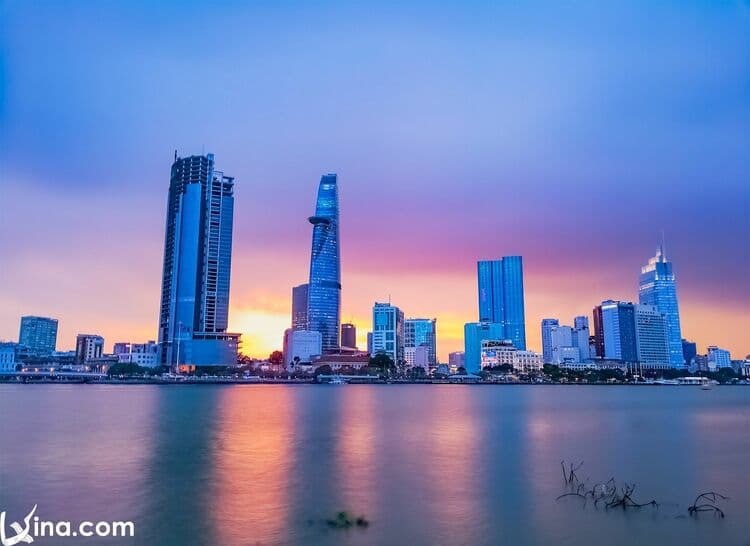 Maybe, the most iconic structure in Saigon is the Bitexco Tower, sitting 68 floors above the ground. From here, you can overlook all of Saigon City. This skycraper stands right in the heart of the buisiness district of the city. Its incredible design symbolizes the developing potential of this vibrant cosmopolitant city. Right at the top of this building, tourists will discover a sky-deck where they coul enjoy stunning 360-degree views of the Saigon River and Saigon City. This place is one of must things to do in Ho Chi Minh City you should not miss. You will feel like on top of the world when being here. 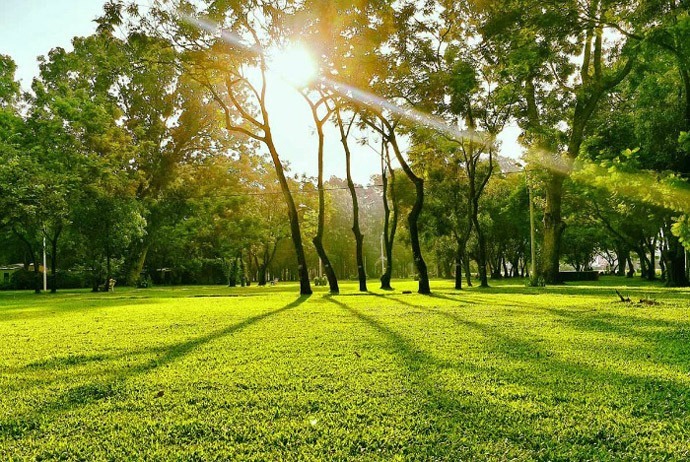 Saigon is a frenetic destination, yet it is easy to get away from it all by coming by one of the green spaces and parks in Distric 1. If you are not a big city lover, then these places can offer you a welcome break from the bustling streets. While you are relaxing under the shading greens, you can watch plenty of people with friendly faces are entertaining around you. Even, you can witness open air dance lessons that are really amusing to watch. It is no doubt that you might be approached by some local students who would like to practice and improve their English. Tao Dan (Tao Đàn) park, among many parks in Saigon, is popular wiht both locals and tourists and set amongst a lot of the city sights. Looking for doing something to be more energetic? You can go to swimming pools or tennis courts or other sports amenities there. 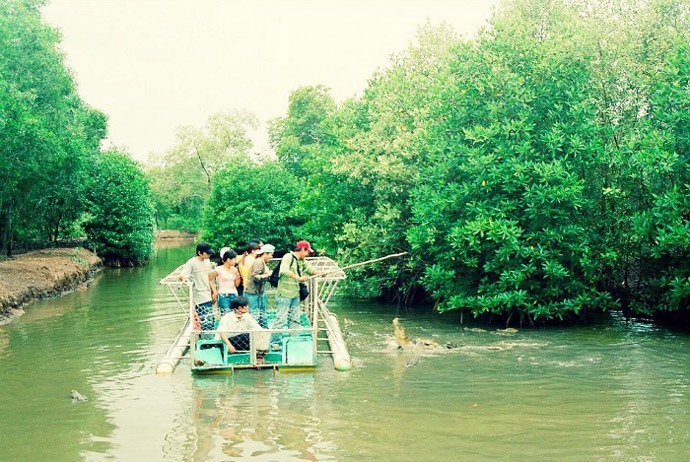 Located in the Southeast of Saigon City, where the Mekong Delta approaches the South China Sea, Can Gio Mangrove Reserve is the UNESCO Biosphere reverse. Reckoned as the “Green lungs” of the vibrant city, this region is a crucial natural wetland attracting a lot of bird species such as painted storks, and migratory spot-billed pelicans.Also, Can Gio Mangrove Reserve acts as a natural nursery for various kinds of fish and marine life, including shrimp and crabs. Some boat trips to this reserve include a padding excursion to Rung Sac Guerilla Base, wildlife spotting adventures in Giant Bat Lagoon, and a quick stop at Vam Sat (Vàm Sát) Eco Park, in which you could visit a crocodile reseve, witness monkeys playing in the trees, and take a hike via the mangroves to spot wildlife animals including birds. Location: Can Gio, Ho Chi Minh. Saigon, nowadays, is Vietnam’s most lively city, growing and developing at a rapid rate. Right at the time you arrive this city, you will be surrounded by sea of motorbike traffic, tasty street foods are everywhere, and a host of worth-visiting attractions that will surely keep you entertained and busy. 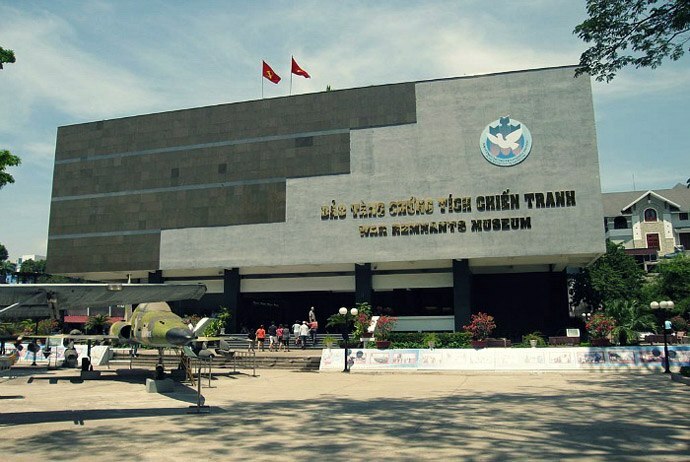 There, you have discovered top 21 most interesting things to do in Ho Chi Minh. I want to say a big thank you for reading through this detailed list of top 21 things to do in Ho Chi Minh. Hope that this list gives you great ideas for planning your upcoming trip. Now, it is your turn to naivgate your way through the crowd and the bustling traffic, stop at a market or museum, and grab bánh tráng trộn or slurp a bowl of delicious Phở on the sidewalk. Did I miss any great things to do in Ho Chi Minh? Share your own thoughts with us by dropping words below this post. We love to hear your voice!